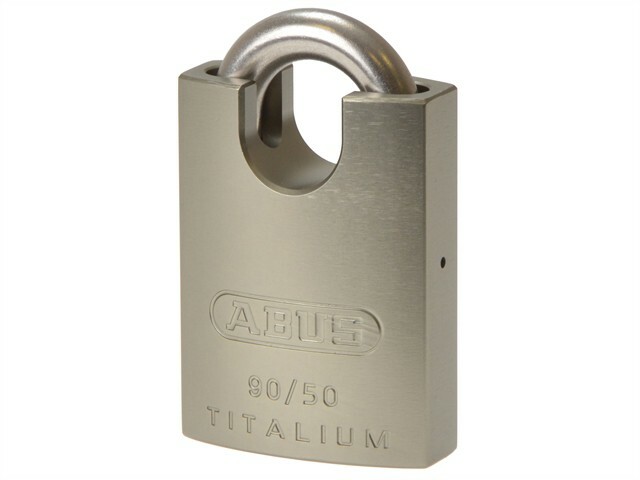 The ABUS 90RK Series TITALIUM™ Padlocks have a solid lock body made from TITALIUM™ and a stainless steel shackle. Marine grade padlock which offers the maximum corrosion resistance. The rust-free internal components offer durable security with the closed shackle offering additional protection. It has a 6-pin tumbler cylinder with anti-pick mushroom pins to help resist picking and the rekeyable mechanism allows locks to be changed to new key. Can be made to sample key or master-keyed on request.